Get ready for Halloween this year with our range of our spooky stickers. 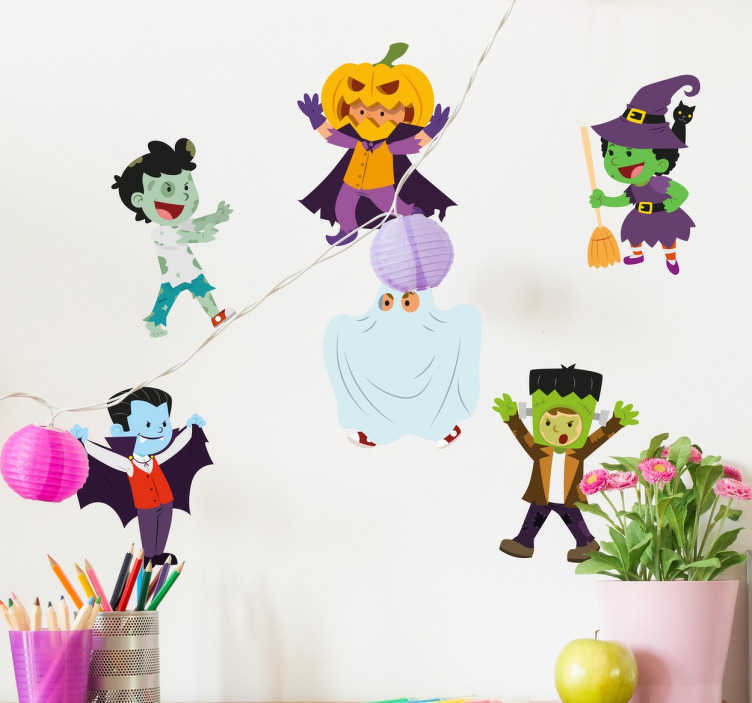 This wall sticker consists of baby versions of scary monsters. These include a young Frankenstein, Dracula, Witch, Ghost and Zombie. These stickers are applied individually and can be spread throughout the house.